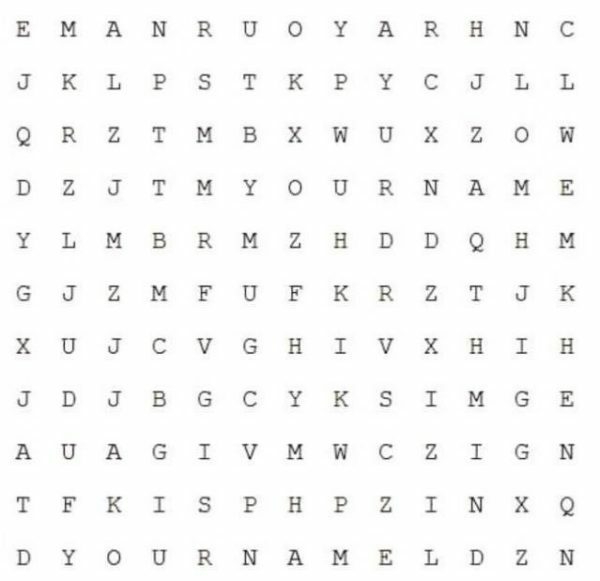 Your Name Is Hidden In THIS Puzzle… If You Can Find It Your IQ Is Above 92% Of The World! Being a genius is not always about how much you know. Most of the time is how resourceful you are with what you know. Puzzles are there to stimulate our brain into thinking better, faster and sometimes, to test how resourceful we are. Most of the time the solution is right in front of our eyes but in order to find it we need to think outside of the box. Can’t find it? Don’t worry: Only 8% of people can find it. Try again. And now, think outside of the box. Hint: If you were looking for your actual name, you’re going about it all wrong. Don’t scroll down to the next picture until you’re ready for the answer. 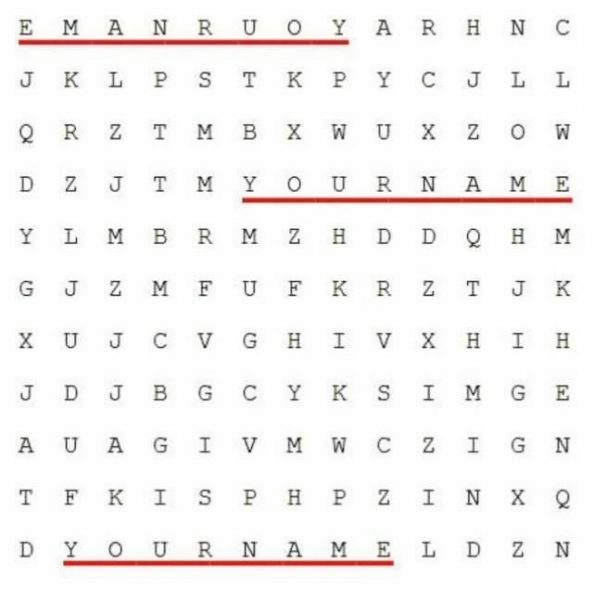 Yes, you were supposed to actually find the phrase “YOUR NAME” in the puzzle. However, since most people spend time trying to find their own name, it gets the wheels turning in their brain and they end up moving away from mindless activities like watching TV or shopping. We are all with a potential to be geniuses. However, like a muscle, some train it and some neglect it. Intelligence is a fruit that comes from doing activities which stimulate your brain. Most people live distracted like zombies, never realizing their true potential.